Mayor Daley plans to hold a series of smoke-filled back-room meetings to discuss the changes. 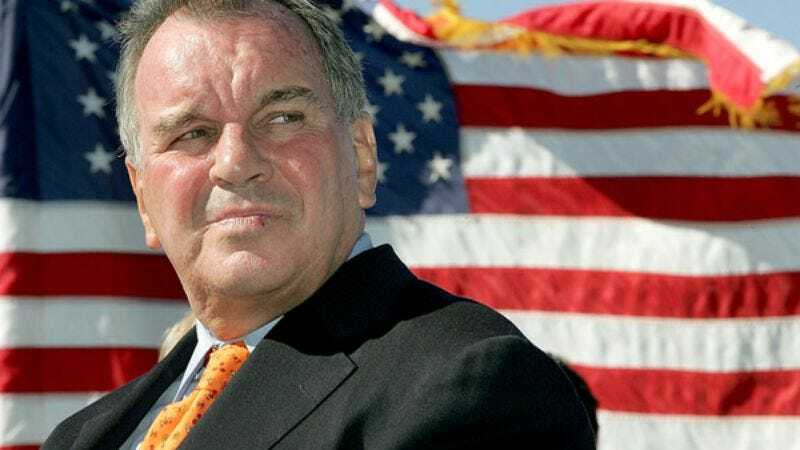 CHICAGO—In an effort to streamline unethical practices and boost illegal profiteering, Mayor Richard M. Daley announced sweeping new plans Monday to overhaul his city's "antiquated" system of graft. According to Daley, Chicago's once-great fraudulent institutions have grown obsolete, and City Hall is no longer bilking taxpayers out of as much money as it once did. "It's been business as usual for too long in Chicago, and now it's time to find more efficient ways to misuse authority for personal gain," said Daley, who has served as Chicago's mayor since 1989. "We must modernize our illegitimate activities right now, today, before it becomes impossible for public officials to act in my best self-interests." Telling City Council members it was inexcusable that Chicago still used such outdated methods as pen and pencil to falsify financial records and conceal kickbacks, Daley called for the purchase of some 10,000 overpriced computers, which he said would allow the city to digitize no-bid contracts, electronically transfer misappropriated funds, and keep better track of who's on the take. The mayor's plan would also triple the number of job appointments for unqualified family members; increase aid to families struggling to get by on fraudulent disability claims; and funnel cash from undisclosed sources into a vast municipal hush fund designed to eliminate corruption scandals. "This is 2010, for crying out loud," said Daley, who argued that his initiative would allow an additional $200 million to be skimmed from city coffers. "It is simply unacceptable that most payoffs to public officials are still hand-delivered in shoe boxes rather than being directly deposited into offshore bank accounts." "Times are tight and we can't afford to lose one cent of our shady, under-the-table incomes," Daley continued. "We have a duty—not just to our families, but to our second families with our mistresses—to create jobs and expand illicit pension programs to ensure that our brothers and sisters and cousins and brothers-in-law never have to put in an honest day's work." William Caldwell, a corruption efficiency consultant hired by the city, believes Chicago could be mismanaging itself far more effectively. He recommends instituting a diversified racketeering strategy with more clearly defined goals, and implementing new procedures to oversee the way money is siphoned from desperately underfunded schools. Though he applauded the city's state-of-the-art vote-rigging system, Caldwell said Chicago has failed to embrace the kinds of green initiatives that could simplify its day-to-day operations. "Dumping the bodies of your enemies into Lake Michigan lacks foresight and is frankly irresponsible," Caldwell said. "Not only are there consequences for the environment in the long-term, but within a day or two they just float right to the top. Corpses belong in fresh concrete at a construction site operated by a contractor who owes you a favor." Chicago, which has had a mayor named Richard Daley for 42 of the past 55 years, isn't the only city turning to technology to update corruption practices. Public officials in New Orleans, Las Vegas, and Washington, D.C. now use e-mail and PowerPoint presentations to intimidate opponents with compromising photographs and proof that their family is being watched, right this very moment. As a result, extortion is up 300 percent. While acknowledging that it will require many sacrifices from his constituents, Daley said he was confident that his plan will revitalize the vice trade, provide more ways for politicians to peddle their influence, and return Chicago to its halcyon days as the preeminent financial center of the underworld. "When my dad ran this city, City Hall would bustle with illegal activity," said Daley, adding that most small business owners today don't even know whom to pay for police protection. "The world might be a more complicated place now, but I believe we can proudly run this city into the ground again, while still moving forward into a new age of unchecked graft and corruption." Added Daley, "Isn't that why we got into public service in the first place?"